Congratulations to Kelly Walsh Marching Band! Congratulations to the Kelly Walsh Marching Band! 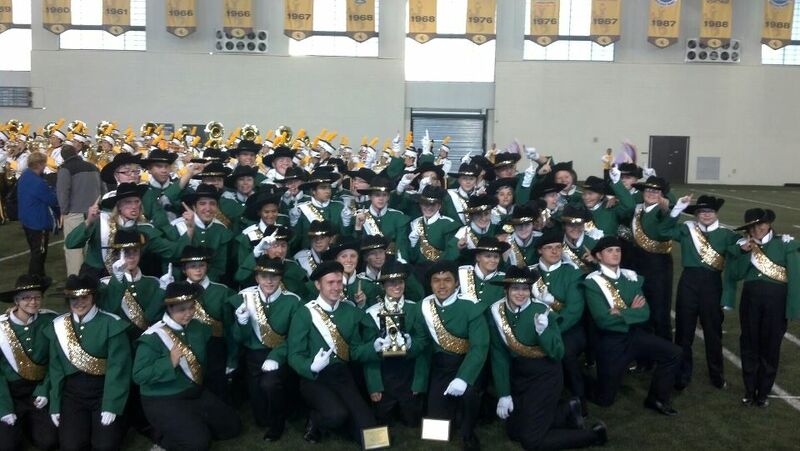 At the 2012 University of Wyoming/ Troopers Marching Band Invitational last weekend, how did Kelly Walsh marching band stack up against the other Wyoming high schools? (Drum roll, please…) They received caption awards for Best Percussion and Best Music, and First Place Overall! At the Invitational, bands are scored by individual judges assigned to different “captions” (such as Music Execution, Marching Execution, Percussion, and Drum Majors). The overall rating is determined by adding the caption scores. UPDATE: The 2012 State Marching Band Festival was fantastic, with 17 Wyoming Bands performing at the event. Kelly Walsh received a “Superior” Rating at the Festival! (“Superior” is the highest rating possible.) They also received a caption award for Drum Majors! Congratulations again. Way to go! Frontier Eye Care is a proud supporter of the band. In fact, Dr. Hodgson helped transport equipment to Laramie for the UW Invitational competition. Thanks to all the parents and volunteers who helped make the competition a success! http://frontier-eyecare.com/wp-content/uploads/2012/10/Kelly-Walsh-Marching-Band1.jpg 541 960 Doug Hodgson http://frontier-eyecare.com/wp-content/uploads/2017/01/frontier-logo-for-website.png Doug Hodgson2012-10-11 14:56:352013-08-19 08:22:21Congratulations to Kelly Walsh Marching Band! How we keep kids happy while waiting New styles from Orvis and Vera Bradley!